It brings us joy to follow a couple from engagement, marriage and when their little blessings come along. In this one case, a client wanted to design a motherâ€™s ring with a unique style; elegant like his wife, but simple so she could wear it daily. He liked something that was not angular, but rather had a simple flow to the design. I give him extra points for making this a complete surprise because the choices in designs are limitless and daunting. They have traveled in other countries and lived overseas, but have chosen to return to upstate New York to raise their family. 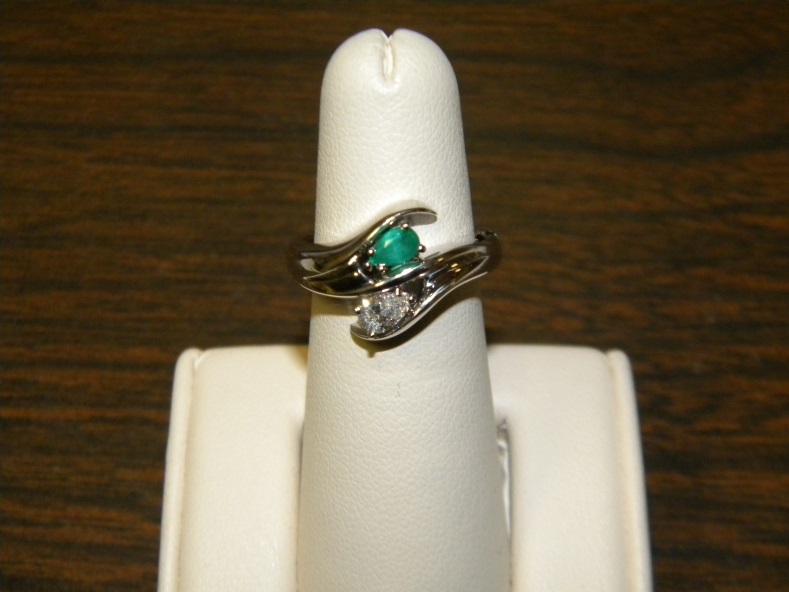 After searching different mountings, we found this one that would take two pear shaped stones perfectly. The curve of the mounting gave him the â€œflowâ€� he was searching for and also wrapped slightly around each stone, almost like a â€œhugâ€�. Individual stones, yet together. Just like a strong family bond.